Celebrity disrupters, dangerous irritants, narcissists in pursuit of personal glory. And what, he feared, of the “unstated course of action” against those sinister non-state hostile intelligence services? Responses to the provision have varied. 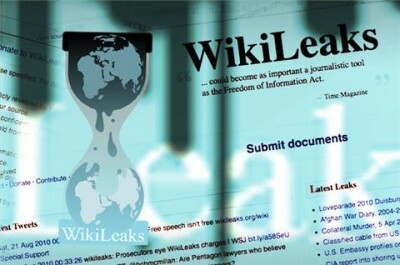 Patrick G. Eddington of the Cato Institute was less than rosy about WikiLeaks, suggesting that such “Sense of Congress” provisions are pure “legislative puffery” lacking legal force, at least as far as Assange is concerned. Forget the Assange obsession, Eddington suggests to the Senate and House Intelligence Committees, and focus on dragging out the rotten apples, those “real problems and real bad actors inside the American Intelligence Community”. Eddington evidently forgets that such rotten fruit can have establishment camouflage. This sort of legislative interference is far from unusual. Australia’s own parliament, whose laws originally supplied no means or facility to prosecute Assange or WikiLeaks activities over US material per se, did pass what was tantamount to a “WikiLeaks amendment” in 2011. To understand the amendment, it is worth looking at the political contortions adopted by the Australia prime minister of the period, Julia Gillard. Rather than considering the legal improbabilities at hand, she openly called the publishing of US cables “a grossly irresponsible thing to do and an illegal thing to do”, a point at odds with the finding by the Australian Federal Police that nothing unlawful had happened – at least in the Australian context. A year later, the Intelligence Services Legislative Amendment Bill 2011 made its way through the drafting process. It seemed innocuous, a sort of laundry list of inoffensive provisions. But one crucial change mattered: the tinkering of the term “foreign intelligence” in the Australian Security Intelligence Organisation Act 1979. Such a change should have sent the political classes into a furious state. But it passed with barely a murmur, only ruffling the Australian Greens concerned that it might arrogate too much power to ASIO. Legislative sloppiness, congressional warnings, and the ignorant passage of statutes – these point to business as usual, the wood of unwary representatives. But they also suggest a serious program at work: the targeting and punishment, not merely of whistleblowers, but the outlets that disseminate their findings. That much can be said for such legislative puffery.